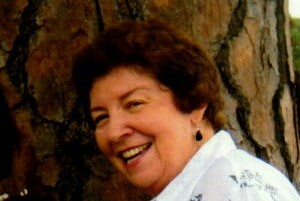 Janet Barron , age 77 of Troy died Thursday, November 22, 2018 in Troy. She was born to the late Frank Oscar Bryan Sr., and Bonnie Mae Boutwell Bryan. She was also preceded in death by her husband, Nolan Barron and a brother and sister-in-law, Frank Oscar and Jean Bryan. Funeral services will be held Monday, November 26, 2018 at 2:00 PM from the chapel of Green Hills Funeral Home with Reverend Jim Powell officiating. Burial will follow in the Green Hills Memorial Park Cemetery. Visitation will be held one hour prior to the service at the funeral home. Her survivors include; son and daughters-in-law, Phillip and Kim Barron, Steve and Jennifer Barron, grandchildren, Audrey Thompson (Drew), Ellie Barron, Olivia Barron, Leslie Blazer, Savannah Blazer, great grandchildren, Jada Glover, Jimmie Mae Blazer, brother and sister in law, Butch and Gloria Bryan, her close friend, Peggy Paine and her loving fur companion "Prissy". She was also survived by numerous nieces , nephews and other family members and friends. Serving as pallbearers will be Todd Floyd, Jeff Bryan, Wayne Crane, Chet Bailey, Drew Thompson, Tucker Floyd. In lieu of flowers memorials should be made to the American Heart Association, 7272 Greenville Avenue, Dallas , TX 75231 or the American Cancer Society. The staff of Green Hills is honored to serve the Barron Family.